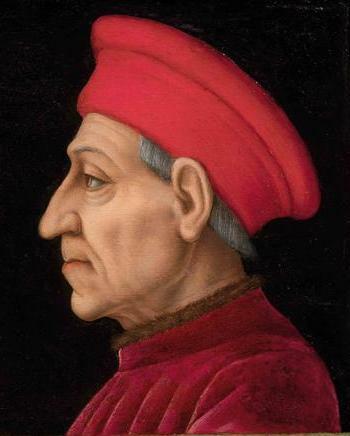 Ottaviano de’ Medici (1482-1546) was the son of Lorenzo di Bernardetto. 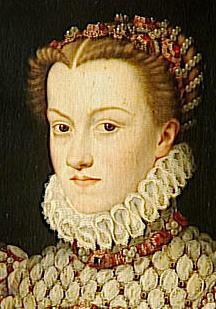 He belonged to a cadet branch of the family and assisted the ruling Medici as adviser and artistic administrator. 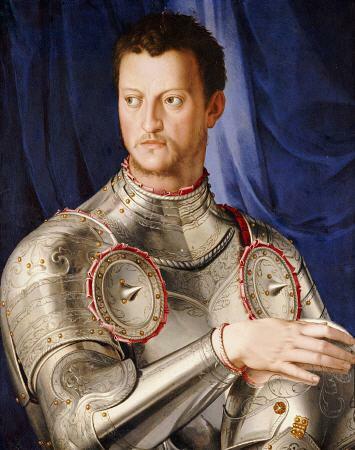 Guardian of the youn Ippolito de’ Medici an Alessandro de’ Medici and a member of the Florentine government, on the accession of Cosimo I de’ Medici in 1537 as Duke of Florence he became one of the Duke’s most trusted counselors. He married Francesca Salviati, the sister of Cosimo’s mother Maria, and their son Alessandro (1535–1605) had a brief reign as Leo XI in 1605. Heartily disliked by Benvenuto Cellini for his influence, or interference, in artistic affairs, Ottaviano was nevertheless appreciated by other artists, and by the poet and writer on art Pietro Aretino in Venice, for his generous support, and his palazzo by San Marco, Florence, near the Medici sculpture garden, was looked on as home by Giorgio Vasari, whose studies and first visit to Rome had been assisted by Ottaviano. 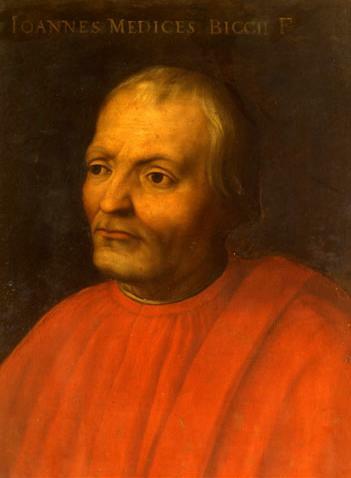 A friend of Michelangelo, Ottaviano was the patron of Titian and Sebastiano del Piombo and the owner, according to Vasari, of a collection that included a tapestry cartoon by Leonardo da Vinci. 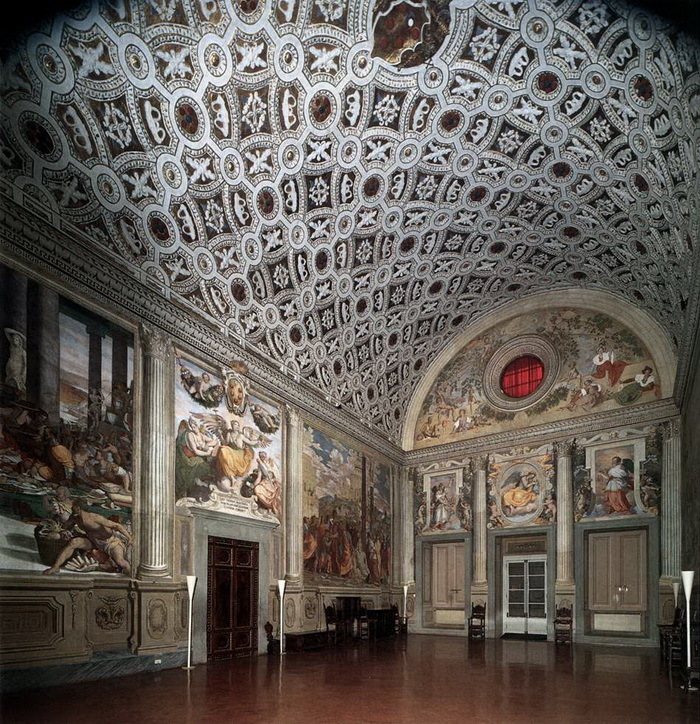 In the 1520s he was the supervisor of the decoration of the Villa Medici at Poggio a Caiano, commissioning the painters Franciabigio, Pontormo and Andrea del Sarto. 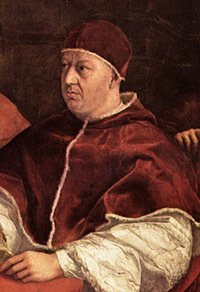 As custodian of Medici property, when Federico I Gonzaga requested Raphael’s portrait of Leo X with Cardinals Giulio de’ Medici and Luigi de’ Rossi, Ottaviano ordered a copy from Andrea del Sarto and sent the copy, not the original, to Mantua. 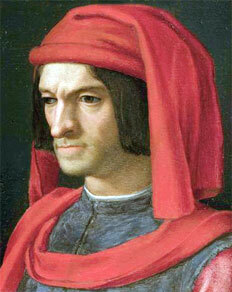 Vasari later made a copy of Raphael’s picture for Ottaviano’s collection of Medici portraits, which included Cosimo il Vecchio by Pontormo and Lorenzo the Magnificent by Vasari and constituted a form of archive of the house.